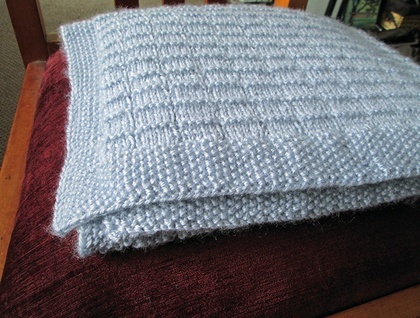 Gorgeously soft, hand-knitted in 8-ply pure wool. 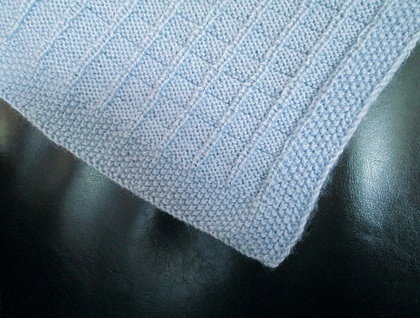 This is a lovely warm blanket for your new baby. 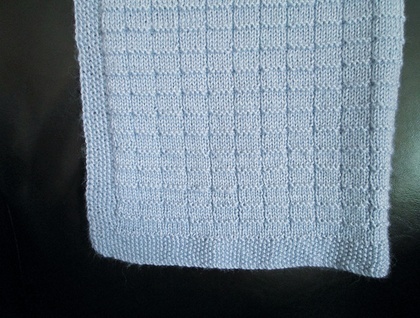 Hand knitted, it measures (loosely) 70 x 75 cm. Weighs about 300grams and can be easily washed on the gentle cycle in your machine. Contact swisters to enquire about payment or shipping options. Made with love in Dunedin, New Zealand.